Manhattan District Attorney Cyrus R. Vance, Jr., NYPD, the Office of Court Administration, the Legal Aid Society, and Neighborhood Defender Services of Harlem hosted Manhattan’s third “Clean Slate” event this weekend. More than 380 New Yorkers from neighborhoods across the City came to Bethel Gospel Assembly, Inc. in East Harlem to resolve outstanding summons warrants for low-level offenses, without fear of arrest. 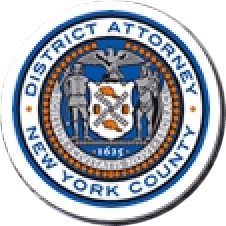 Attorneys from the Legal Aid Society and Neighborhood Defender Services of Harlem screened and gave free legal advice to individuals whose summonses were ineligible for warrant forgiveness under Clean Slate. In all, 209 summons warrants were vacated at this event. Additionally, hundreds more New Yorkers received free legal advice on how to resolve ineligible matters, including DMV, TLC, and immigration cases. For this event, the New York City Department of Homeless Services and Human Resources Administration also provided outreach assistance in their shelters and facilities and ongoing support throughout the day. In addition to the outstanding warrants, underlying summonses were also resolved at this event without fines or other penalties. The presiding judge issued Adjournments in Contemplation of Dismissal, or ACDs, which require the recipient to avoid new arrests for six months, before the dismissal and sealing of his or her case. Legal Aid attorneys were present to screen cases and offer free legal advice, including for those with open misdemeanor or felony warrants that could not be resolved at this event. Clean Slate also featured a resource fair with job training, healthcare information, and referral services onsite. On-site interpreters assisted Spanish, French, Mandarin, and Cantonese speakers, and helped provide translation services for speakers of other languages. For more information about Clean Slate, visit our website.